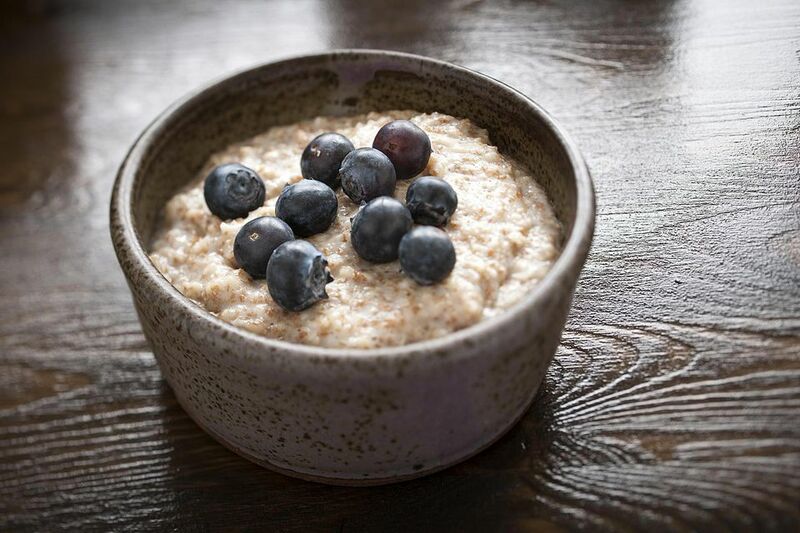 Make sure to use steel cut oats in this delicious Crockpot oatmeal breakfast recipe. You can find them in tins alongside ordinary rolled oats in the supermarket. Spray inside of slow cooker with nonstick cooking spray. Combine all ingredients except the half and half and honey in the slow cooker, cover and cook on low for 7 to 8 hours. Stir in half and half and honey, and serve. If you like more texture in your oatmeal, you can toast the oats before cooking. Place them in a shallow layer on a cookie sheet and toast them at 350 F. for 15 to 20 minutes, stirring once during cooking time, until oats are a darker gold color. Let cool completely before you combine with the rest of the ingredients in the recipe. Stir well before serving.